MLS # 72032150 - SORRY - SOLD!!! 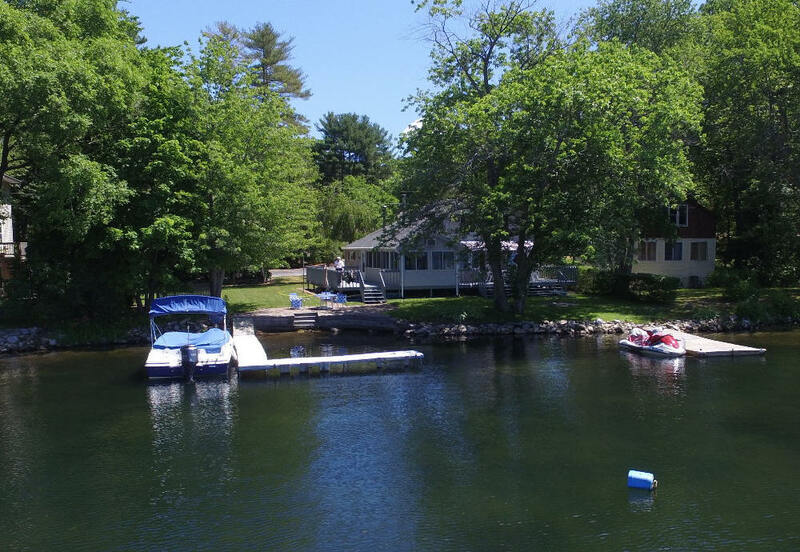 WEBSTER LAKE - Middle Pond - Reid Smith Cove! West Exposure = Sunsets! 100' Level Waterfront! 7 Rm Yr Rd or Ideal 2nd Home! Enjoy Music from Indian Ranch - Free! Fantastic Flat Lot w/Plenty of Space for Outside Enjoyment! 2 Boat Docks! Plenty of Parking! 2 Huge Decks, One w/Retractable Awning! 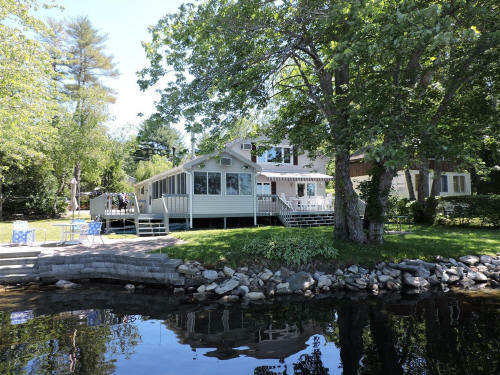 Current Owners have spent their Summers Here, raising their Family, since I Sold it to them in 1983, Now it's Your Turn! Relax in the Casual Open Flr Plan, Most Rooms have Water Views! Kit w/Recent Stainless Range/Dble Oven! Din Rm/Area w/Slider to Lakeside Deck w/Retractable Awning! Spacious Liv Rm w/Large Lake Facing Picture Window! 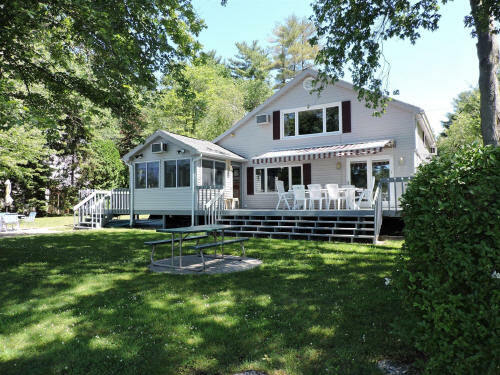 2 Seasonal Enclosed Porches, 1 Surrounded by Panoramic Water Views, Cathedral Ceiling, Wall A/C & Door to Front Deck! 2nd Porch/Game Rm w/Door to the Side Deck! Full Bath & Separate Laundry/Utility Rm completes 1st Flr! Upstairs! 3 Bdrms! 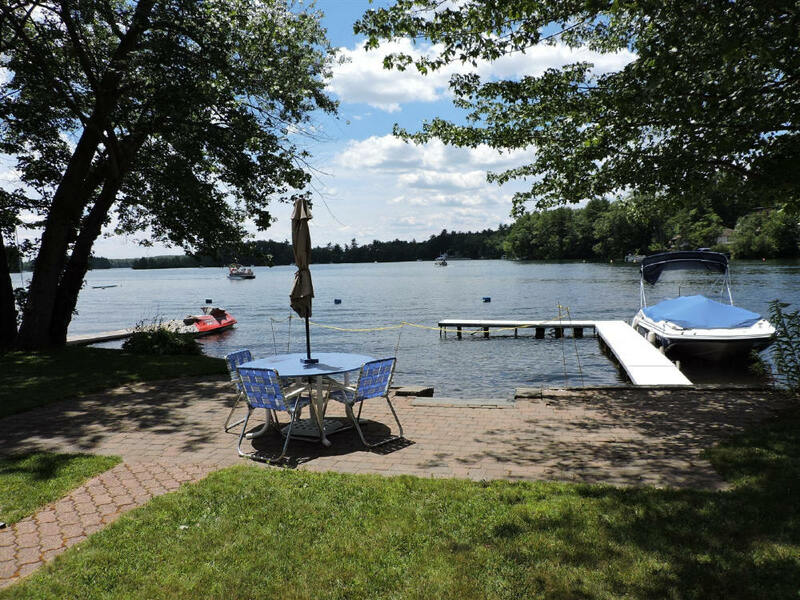 Lake Facing Master w/Picture Window & 2 Walk-in Closets! Convenient Half Bath off Hall! Closing not before 10/1, Worth the Wait!! Living Area Source: Public Record Cool Zones: 4 Wall AC Approx. Street Frontage: 100 Ft.